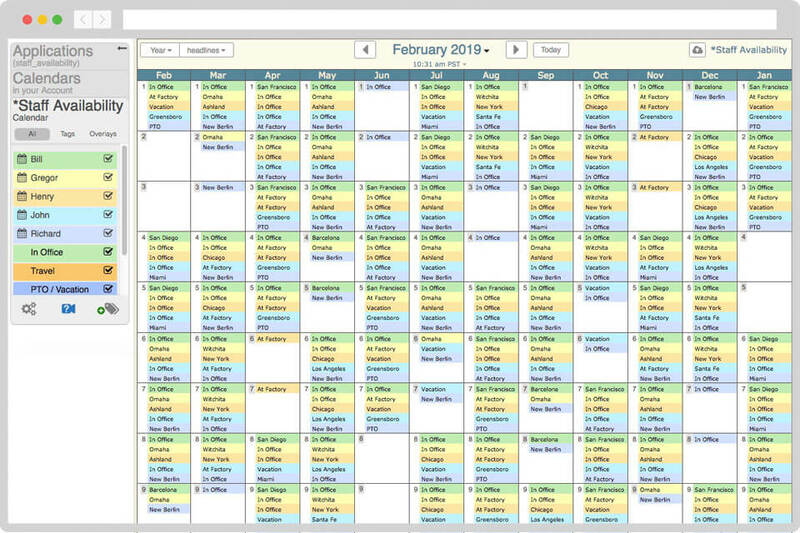 What is your calendar missing? 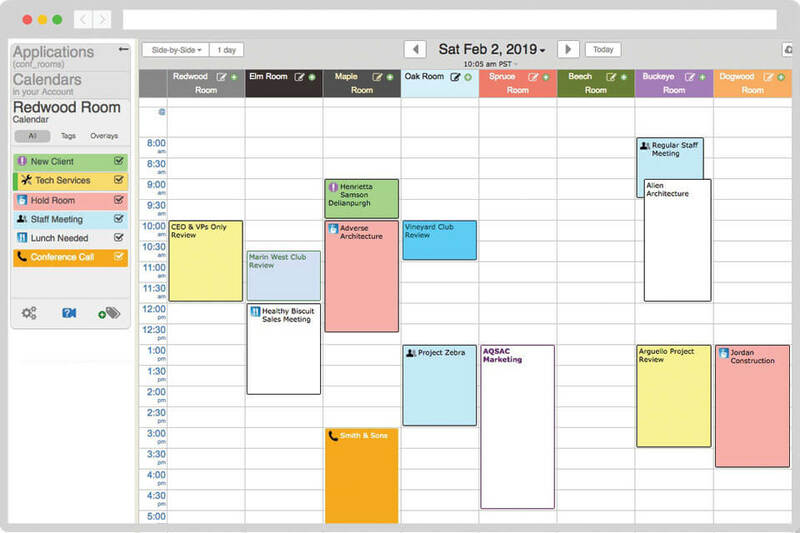 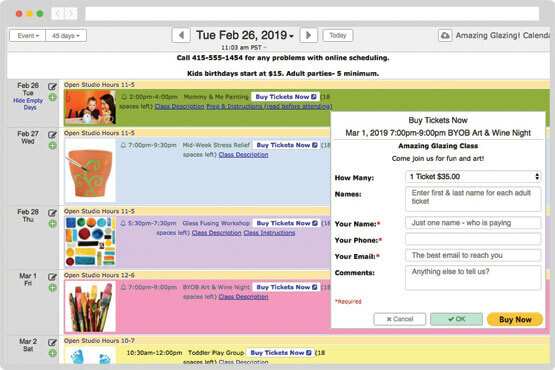 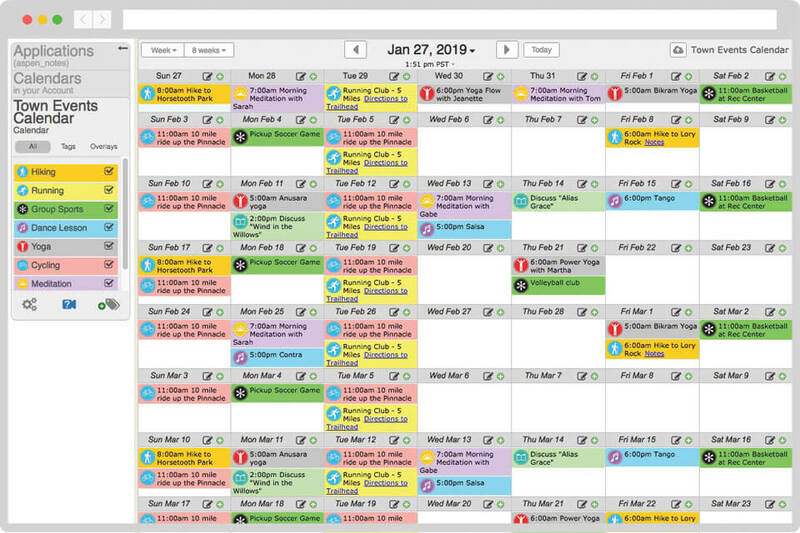 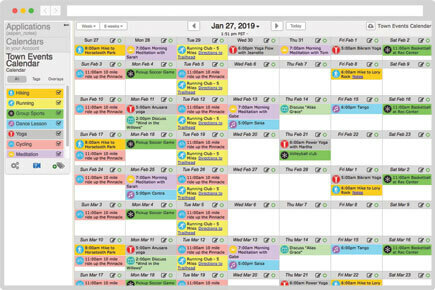 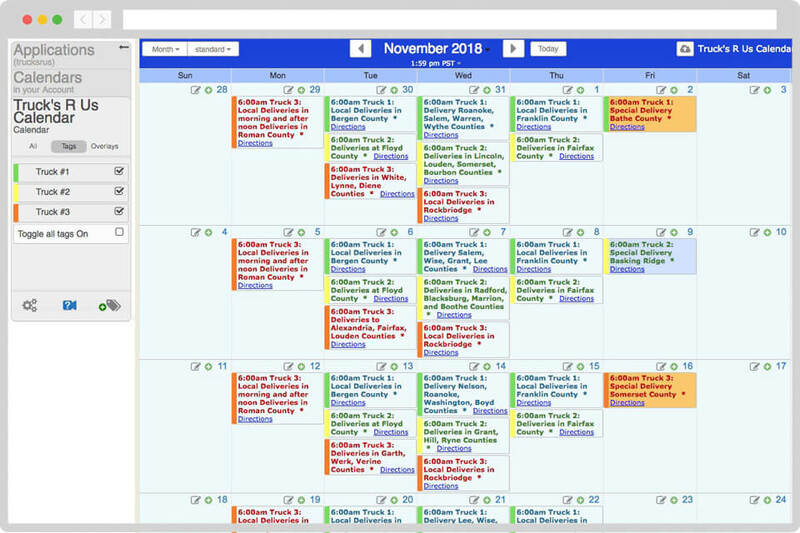 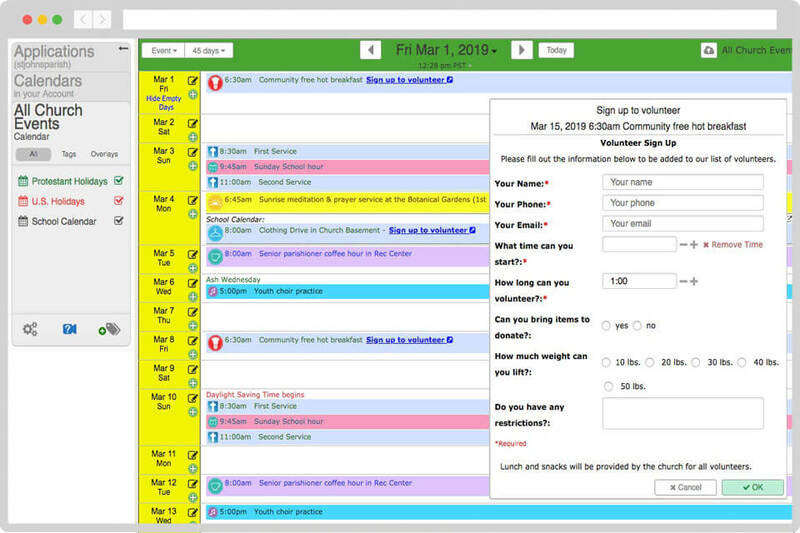 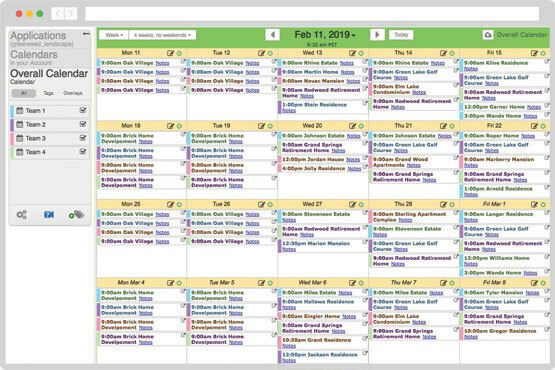 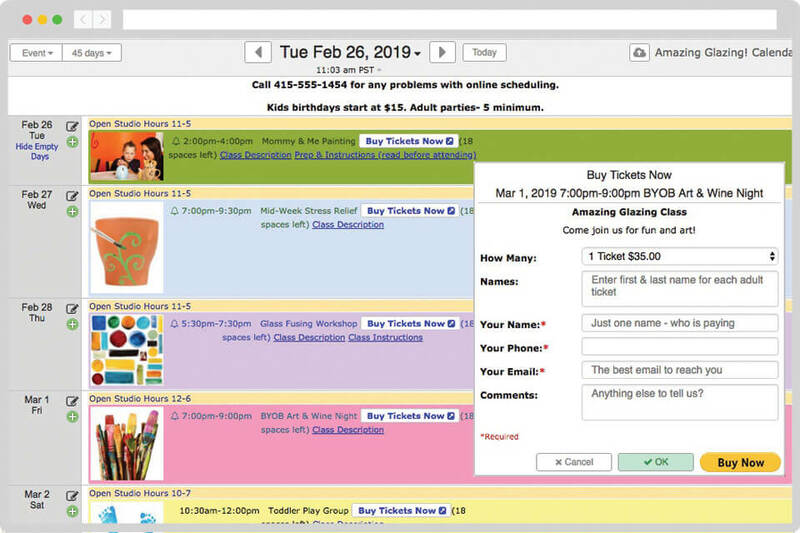 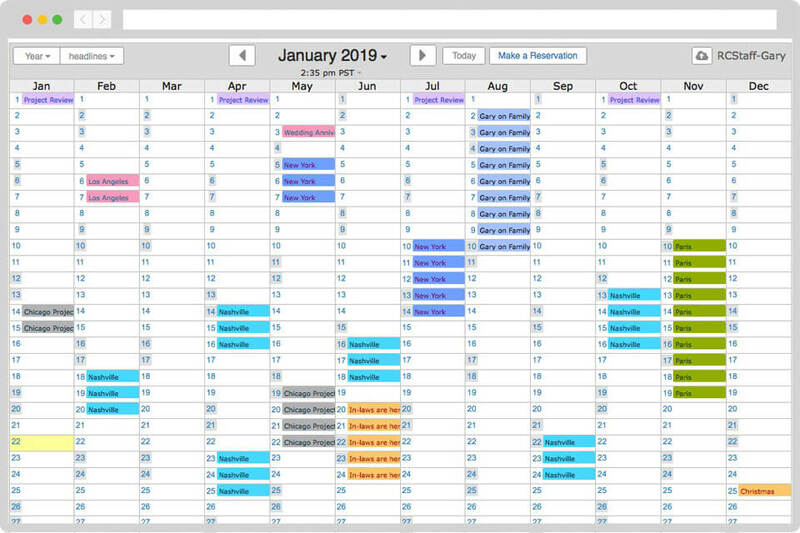 Take a look at the sample calendars below to see just a fraction of the features & customization options you could use in your Keep&Share calendar. 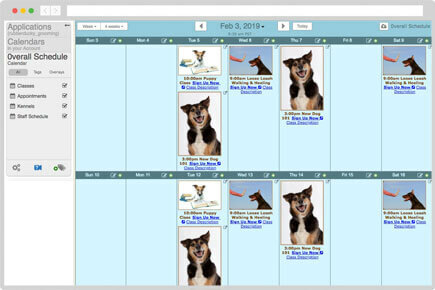 Click on the links by each screenshot to visit and click through a live version of the calendar. See samples of embedded calendars and calendars inside Keep&Share accounts. 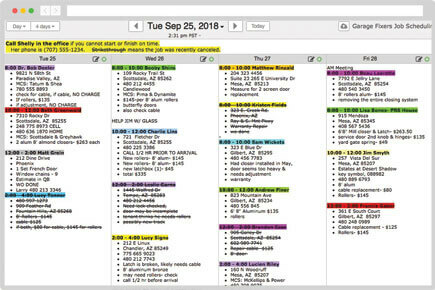 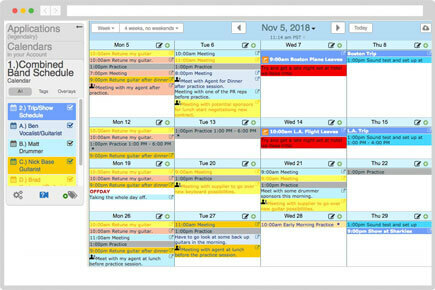 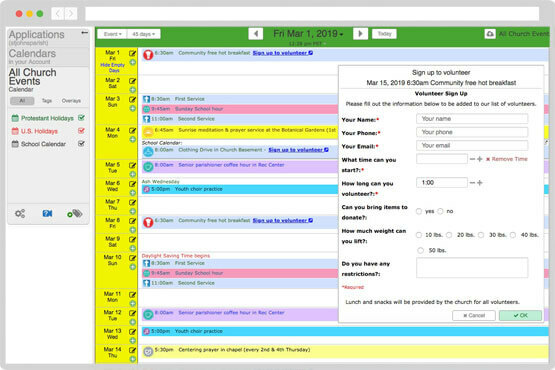 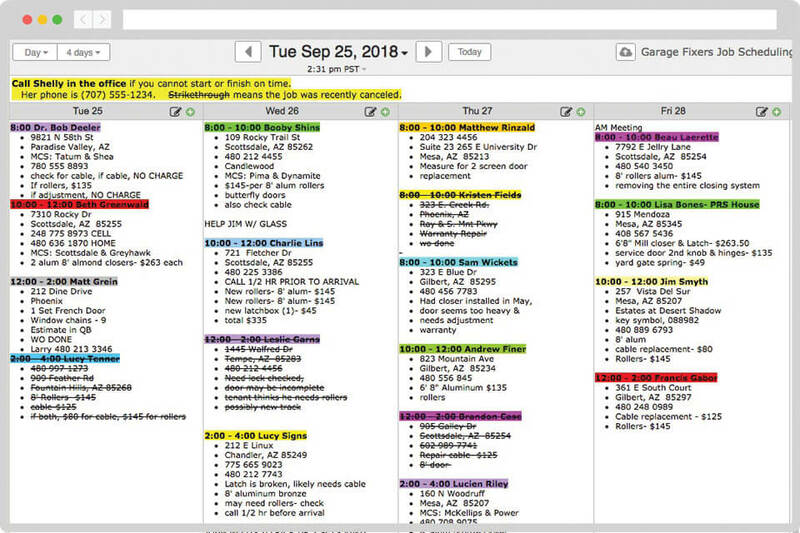 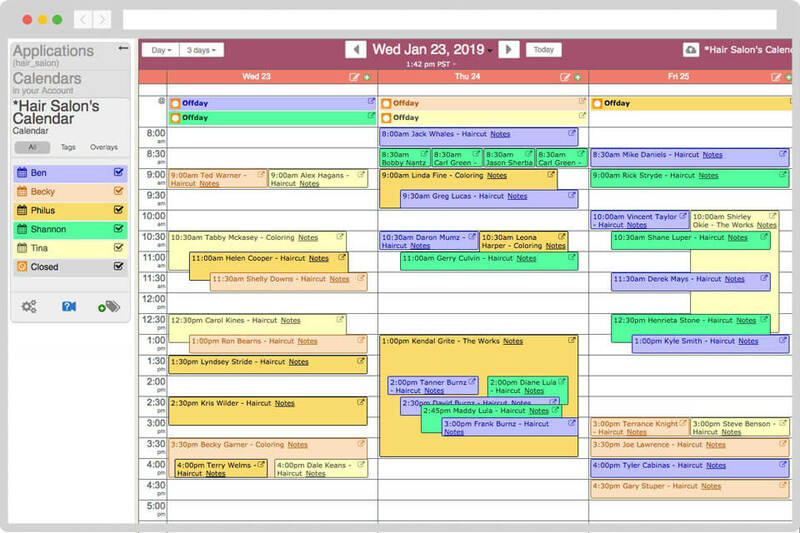 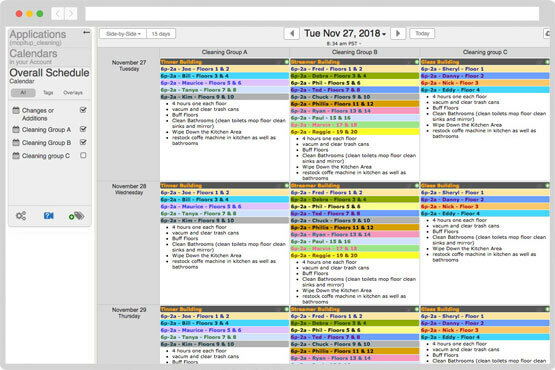 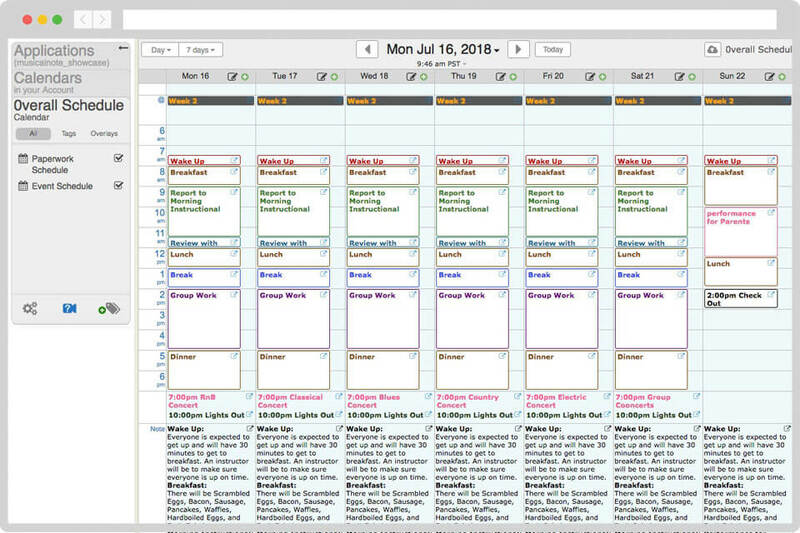 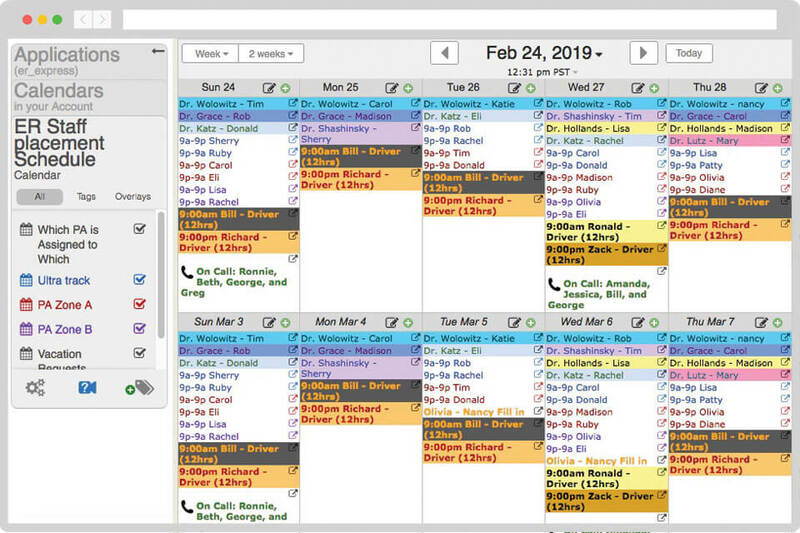 Discover the variety of color-coding options available in Keep&Share (helpful for telling different schedules apart at-a-glance). 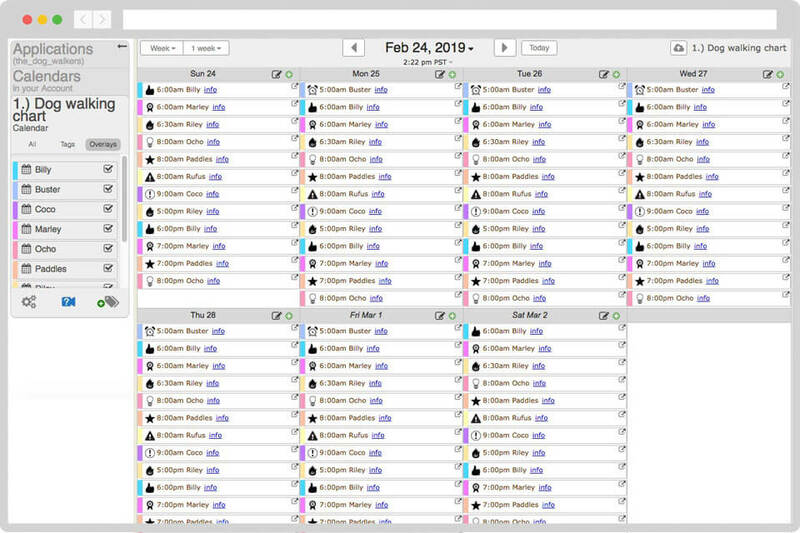 See how each team has a different color assigned to them so that you can tell which crew is in which location at any time. 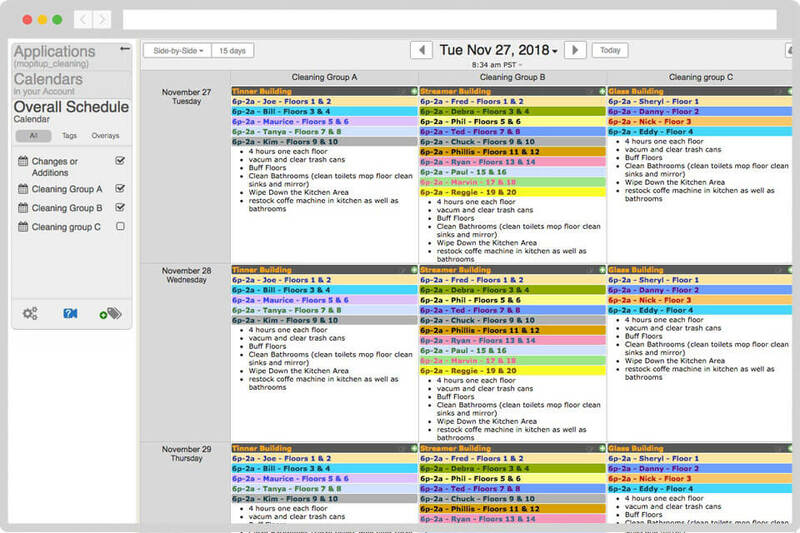 Each job site has its own specific notes attached to it. 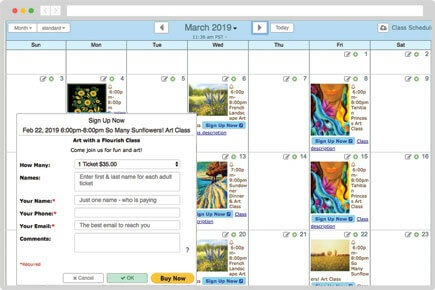 With Self-Book visitors to your calendar can make appointments, sign up for group events, accept payments, send reminders, and more. 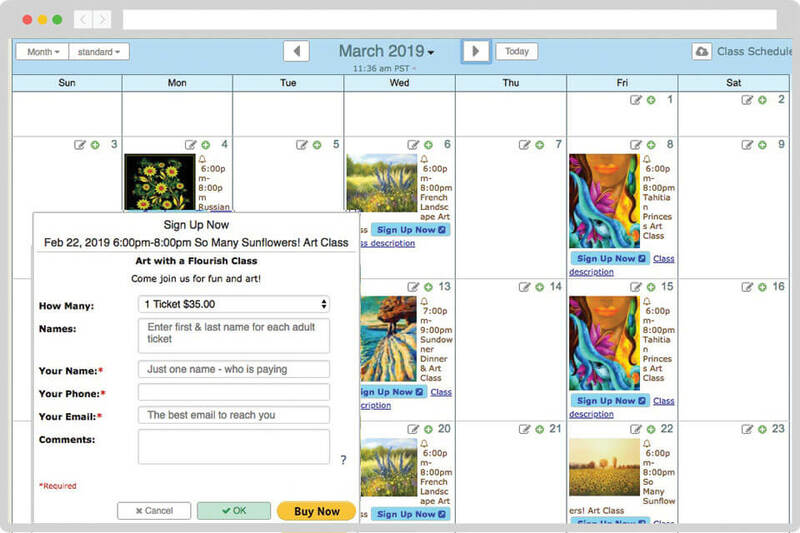 Visitors see your available classes on your website, click on the one they want, fill out the registration form, & sign up — all on one web page. 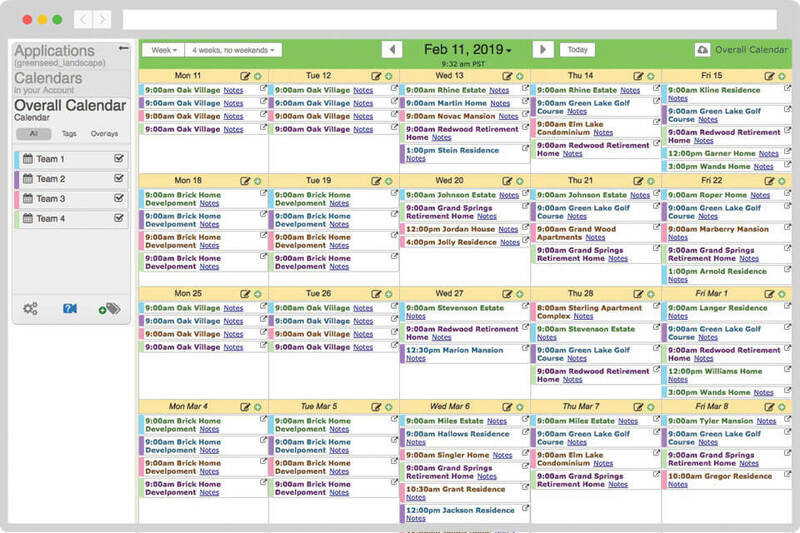 A business compares room schedules on an hour-by-hour basis so it’s easy to quickly spot & book available times. 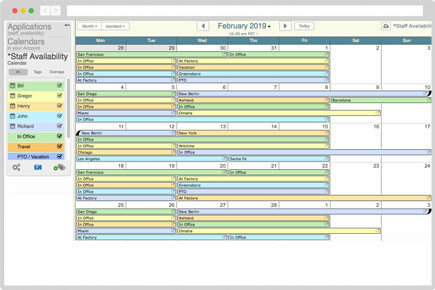 View multiple calendars at once by placing separate calendars side-by-side for easy comparison. 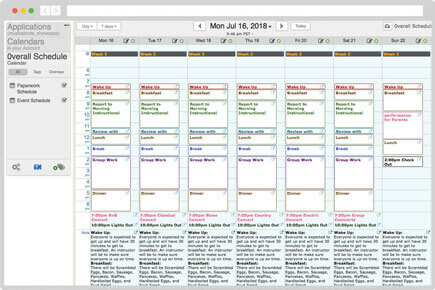 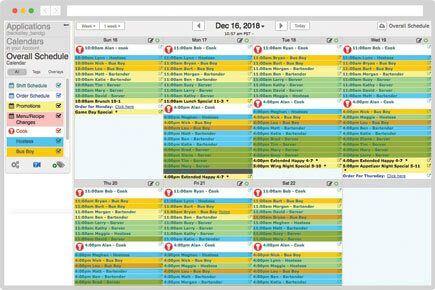 Side-by-Side view is ideal for an hourly comparison between Calendars. 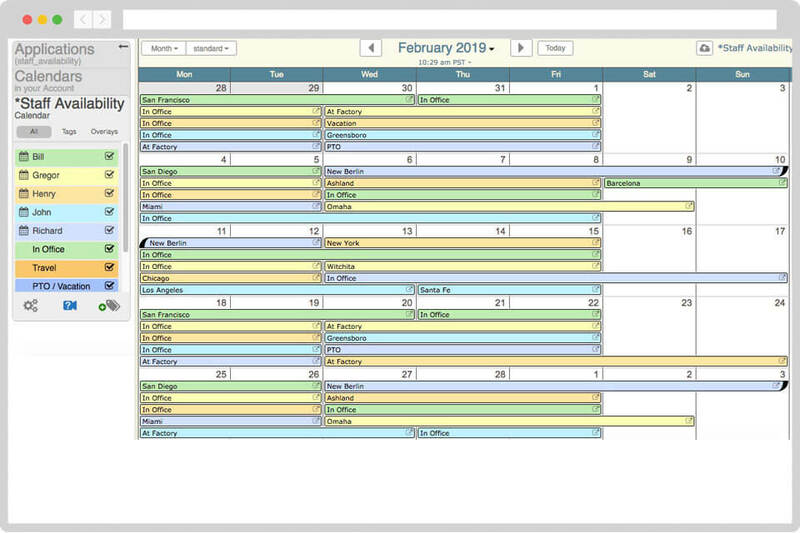 Compare up to 10 calendars Side-by-side at one time. 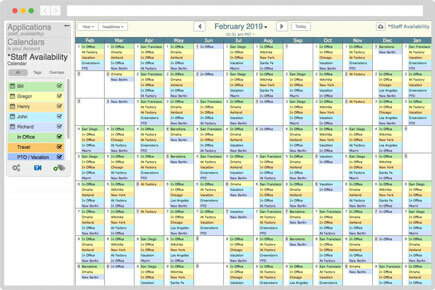 You can compare a 1 day, 15 days, or 30 days at a time. 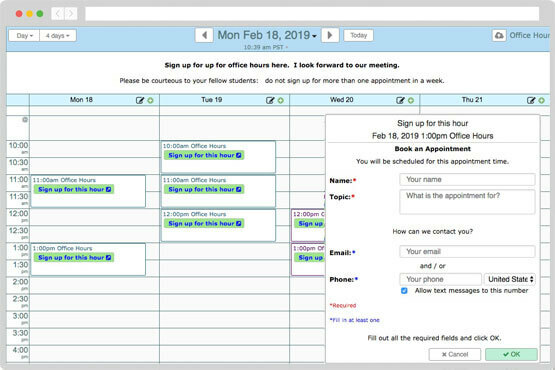 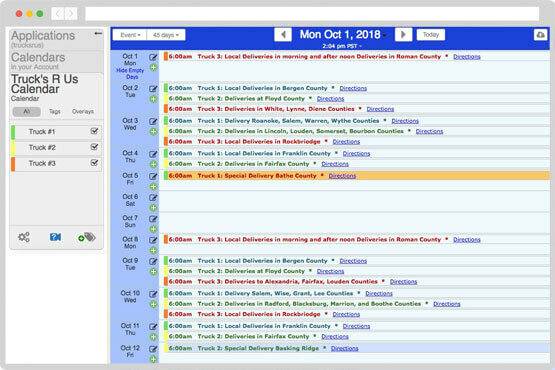 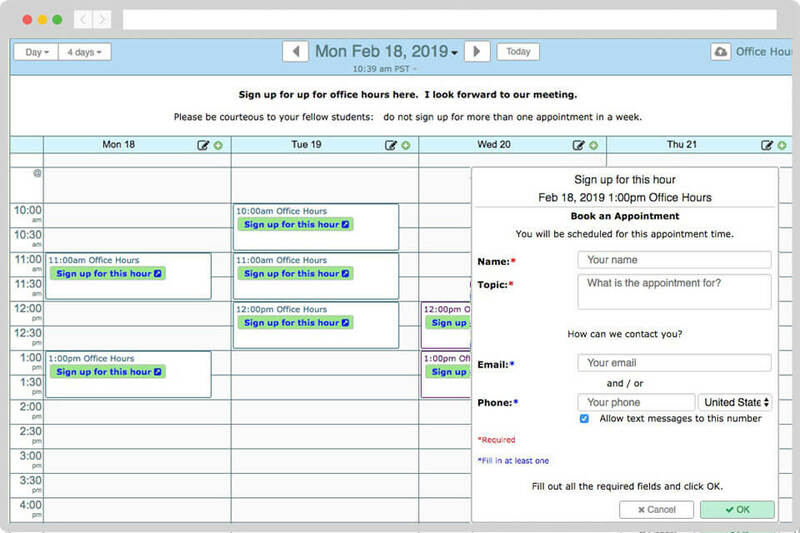 Use Side-by-side to manage schedules for staff, rooms, equipment and any other resource. 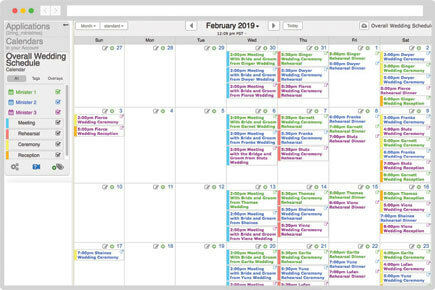 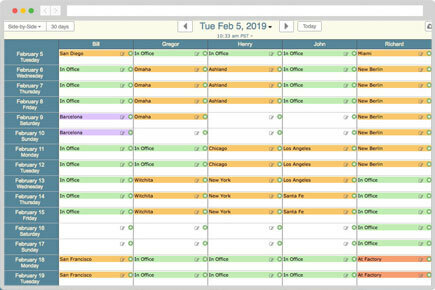 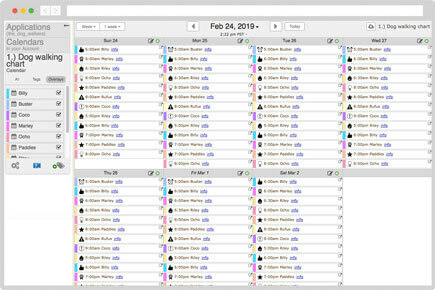 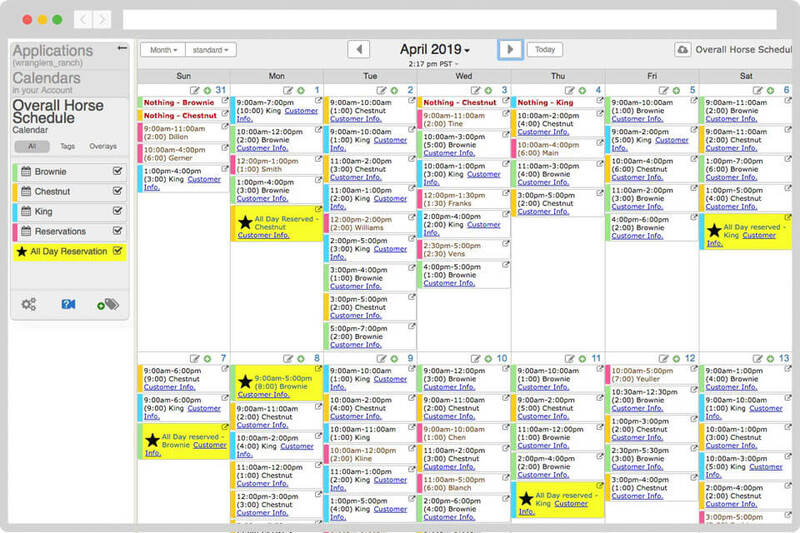 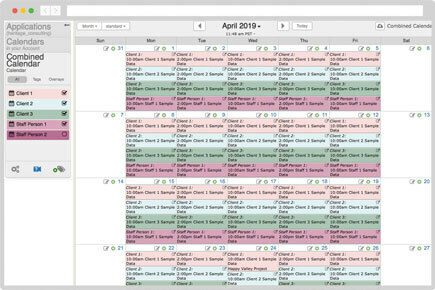 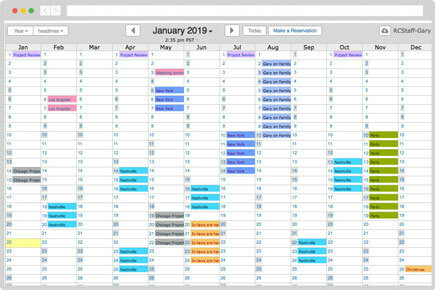 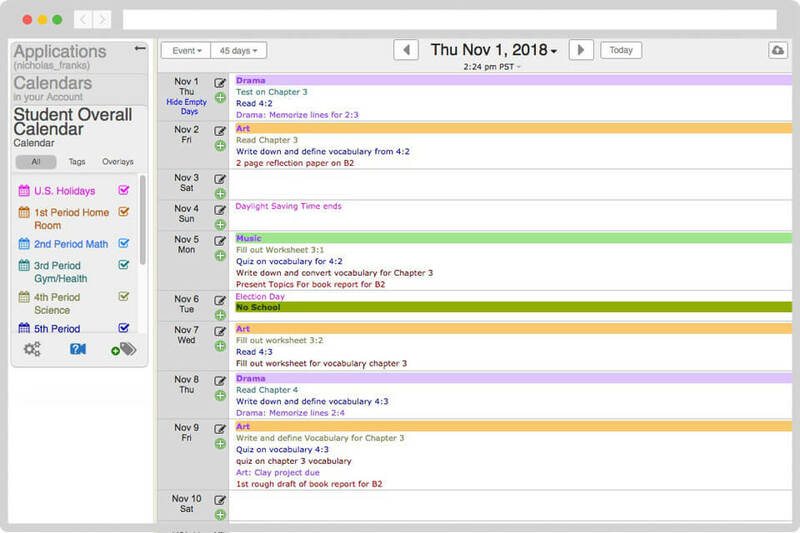 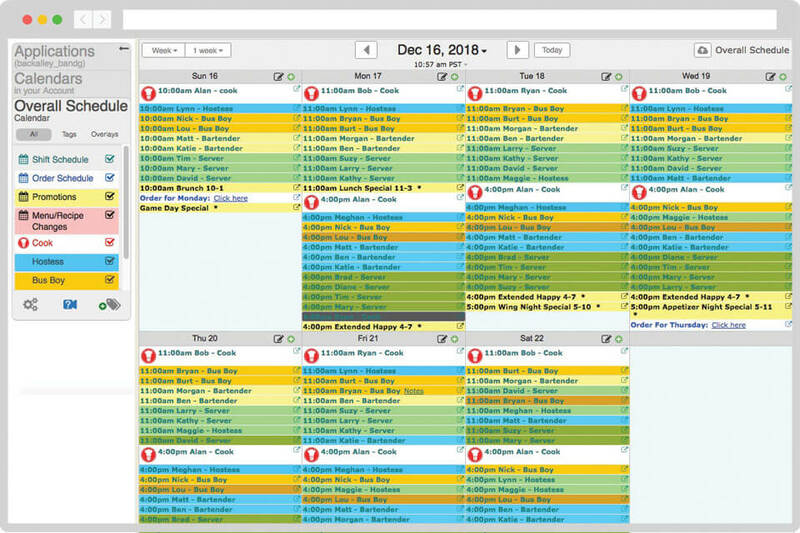 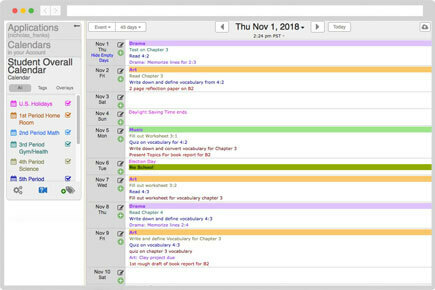 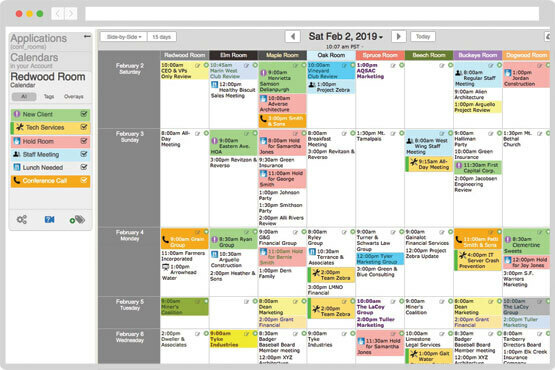 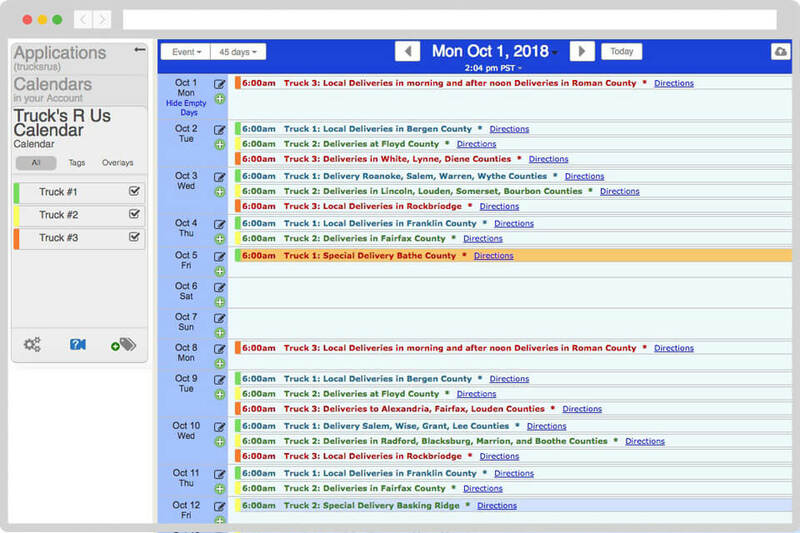 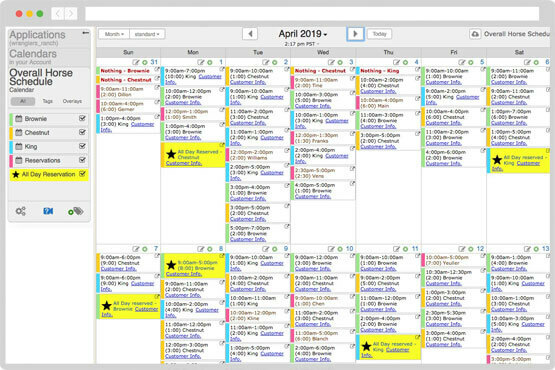 You can directly edit in each calendar as well as move appointments from one column to another.